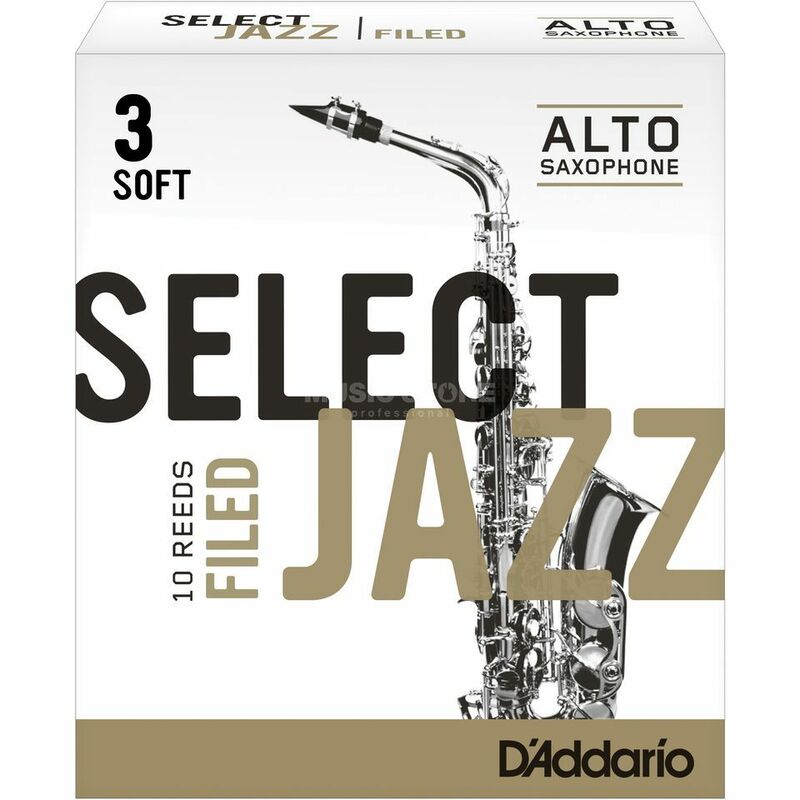 The Rico Select Jazz 3S Alto Saxophone Reeds Box Of 10 feature the thickest spine and blank of D'Addario's jazz reeds, with a traditional tip shape. The Select Jazz cut offers great projection, focus, and a vibrant sound. They are available in both filed and unfiled models. Offered in third strengths, rather than half strengths, so players can choose the most precise strength for their individual equipment. A reed that goes through one additional cutting process that removes bark from the reed’s shoulders is considered filed. This allows for faster vibration.